Hello Everyone! Hope you've all had a lovely weekend so far. As my laptop is being repaired at the moment I have not really been able to blog properly so I've decided to just edit and publish a few of the draft posts I had done before my laptop decided to break down. I was using it on Sunday morning, went out, came back and it wouldn't switch on or charge. Major annoyance as I had planned to blog a lot this week but never mind. I should get it back by next the end of this up coming week so I will be blogging a lot more. I have lots of new and exciting posts planned so there's lots to look forward to. Today I thought I will tell you about one of my favorite perfumes by one of my favorite singers Taylor Swift. I know Taylor Swift isn't to everybody's taste but I personally love her and definitely don't think you need to be a fan of her to purchase this absolutely gorgeous perfume. I realize that this has been reviewed quite a lot already however I thought I would throw in my two scents anyway as not everybody's opinions will be the same so I hope you enjoy reading my views. 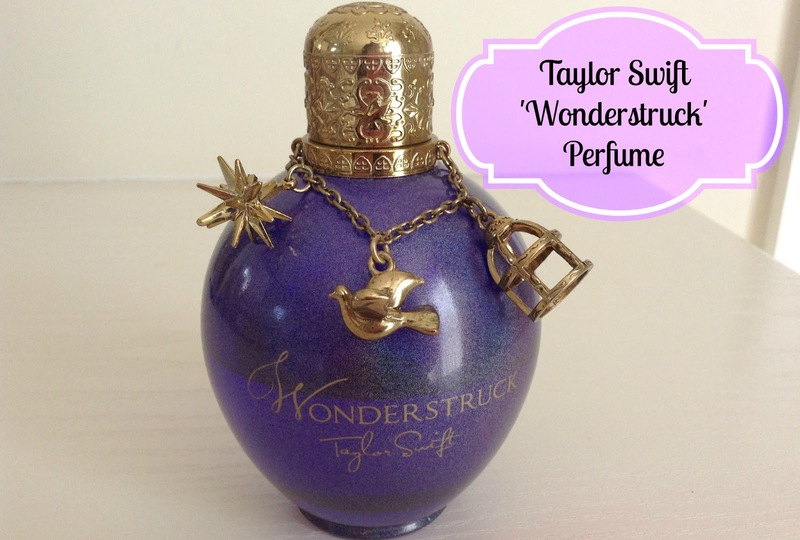 The perfume is called 'Wonderstuck' which follows the lyrics of one of my favorite songs by Taylor called 'Enchanted'. The lyrics are 'I'm wonderstruck blushing all the way home'. 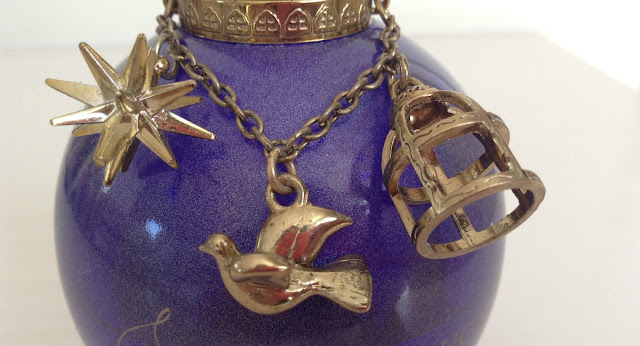 The perfume comes accompanied with three gold charms which I thought was a beautiful touch however definitely not suitable for hand bag use as one of the charms is incredibly sharp and can and have caused a bit of damage if you're just reaching in for something. The scent itself is absolutely incredible. I always get a bit not worried but a bit iffy when celebrities release perfume because sometimes they smell absolutely awful and other times they are really nice so I was definitely hoping her perfume would be just as good as her music and I haven't been left disappointed. 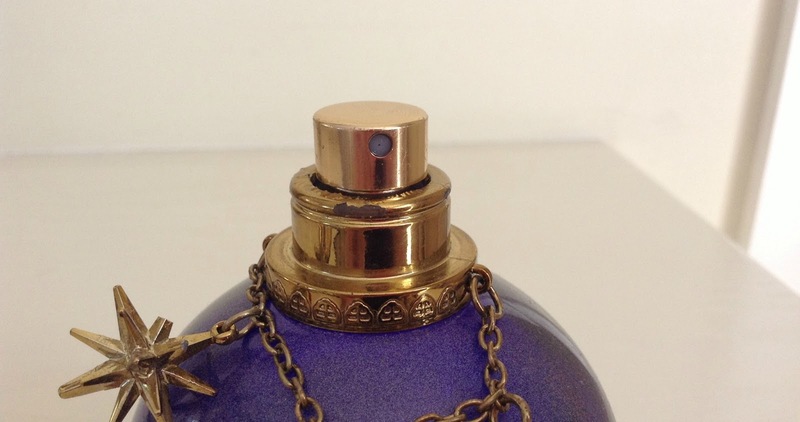 The bottle is a strong holographic purple color with gold feature. A trait which is very noticeable in shops. The perfume itself contains hints of vanilla, raspberry and apple blossom scents and also has a little tinge of spices which create a perfect sweet and girly scent. This perfume is very versatile and can be used casually during the day time or in the evenings. Another reason I love this perfume so much. I know that since this perfume has been released Taylor Swift has released two other perfumes, one of which is called 'Wonderstruck Enchanted'. The bottle is slightly different as it has 3 new charms that Taylor Swift has picked out and comes in a holographic red color. In the last couple of weeks or so Taylor Swift has also released a perfume called Taylor. I hope to try out these other two perfumes in the future. 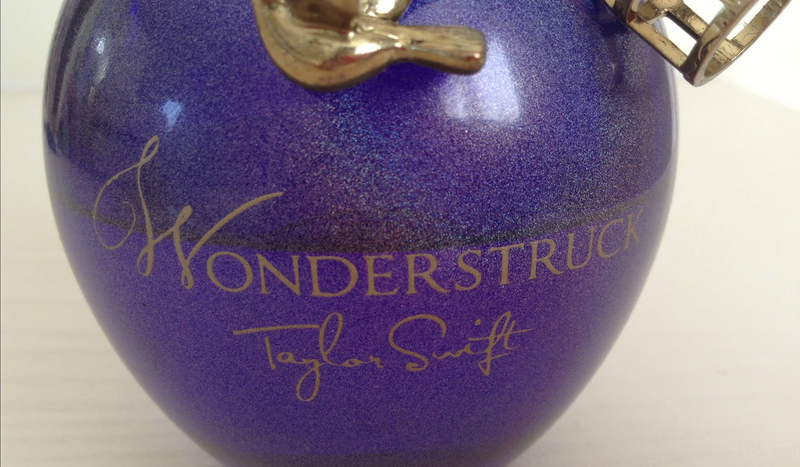 If you have yet to check out her 'Wonderstruck' which is her first perfume then I would highly recommend it. Are you a Taylor Swift fan? Have you managed to get your hands on any of her perfumes? What are your views on them? Let me know in the comments below! I´ve wanted to buy this parfume for aaages, but I have always been like...umm you dooon´t really need this..but ..its awesomme..but..ugh..noo. But after your article I´m dead..I buy it.Ok you won Taylor!!! thank you so much! Definitely purchase it you won't regret it! Also sorry but I don't do follow for follow! I'm a firm believer that if you truly love someone's blog you will automatically follow them anyway so sorry. First of all I wanted to say that I love your blog! I just started my own beauty blog and I've gotten so much inspiration from yours! Your posts are so helpful and pretty, I hope my blog can evolve into something like this one day, because this is fabulosity! Also, I've had this perfume for a while now and it's one of my favorites! It's right up there with my all time favorite DKNY perfume (If you have not smelt their "Be Delicious" perfume then you are seriously missing out!). I love the scent of Taylor's perfume...not such a big fan of the packaging but if my bottle ever runs out I'll be on a mad dash to the store to repurchase!